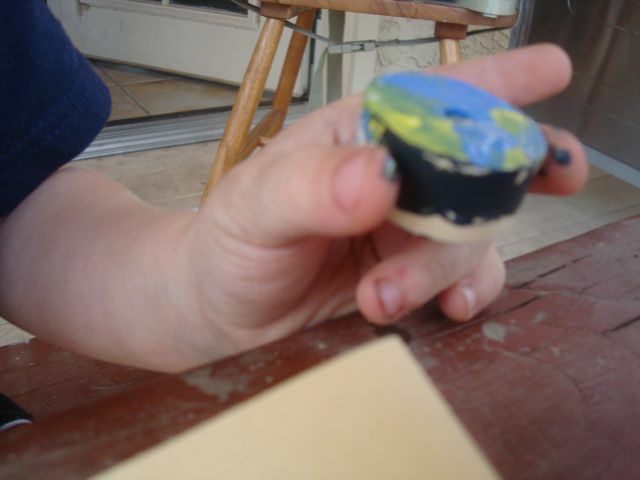 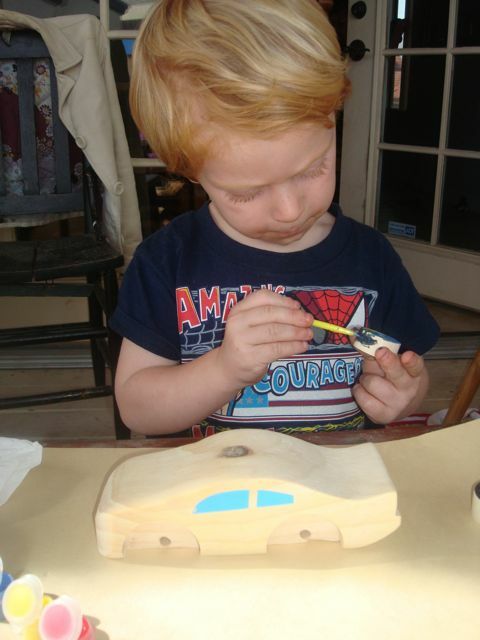 It is time for a car craft (courtesy of Oma and ‘Melissa & Doug’). 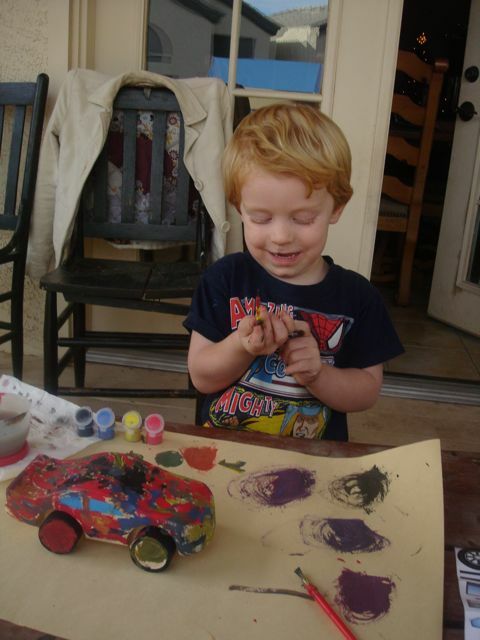 As you can see, Jack was very focused on the task at hand. 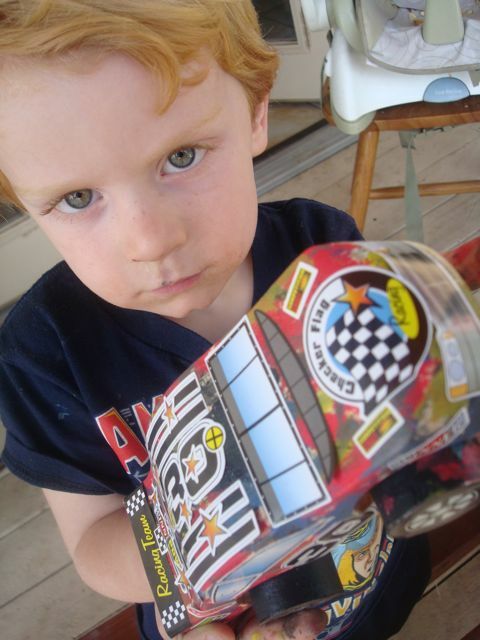 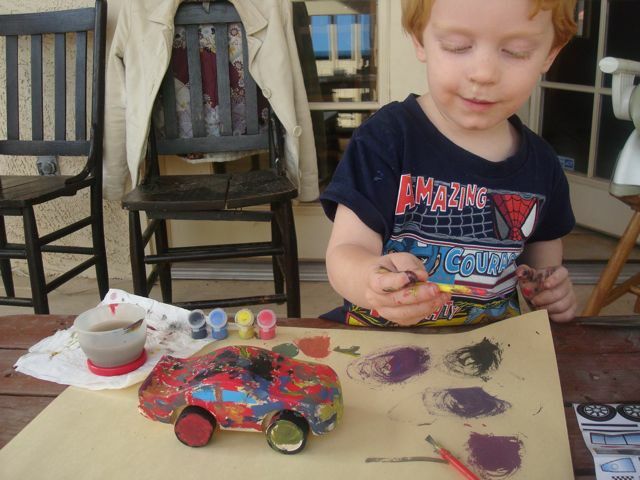 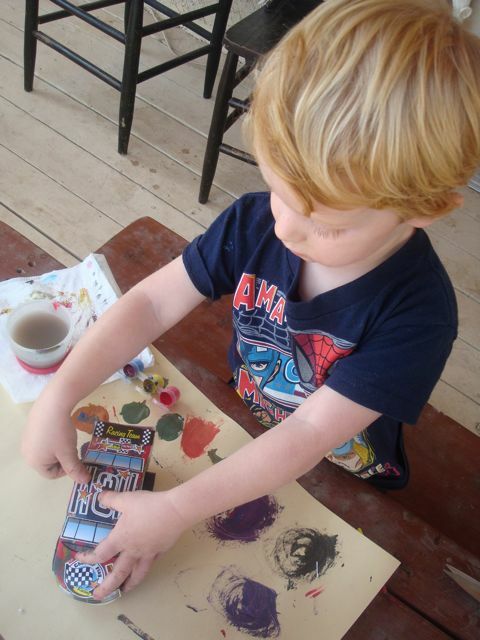 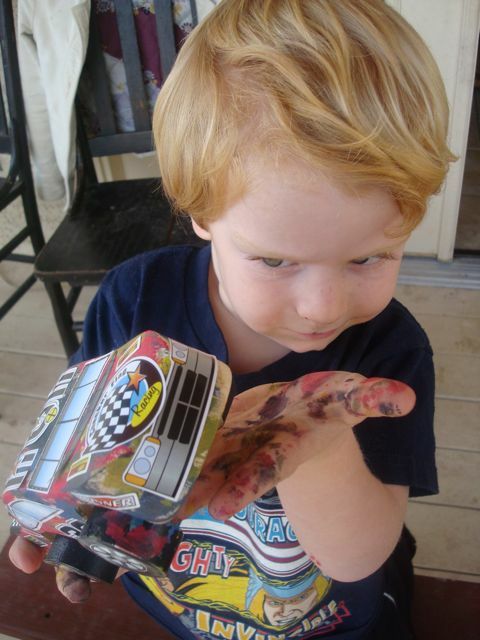 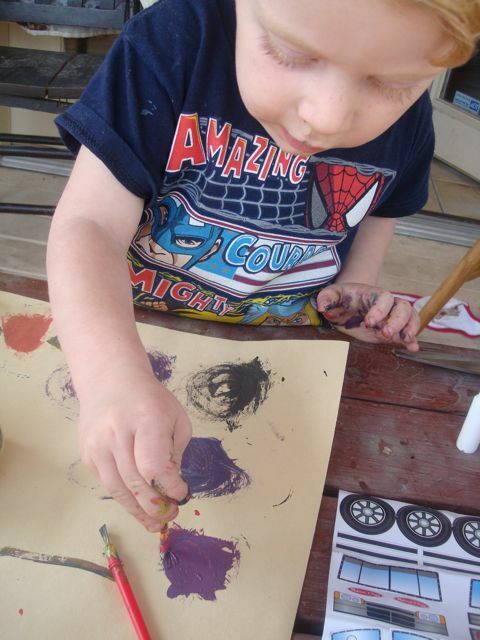 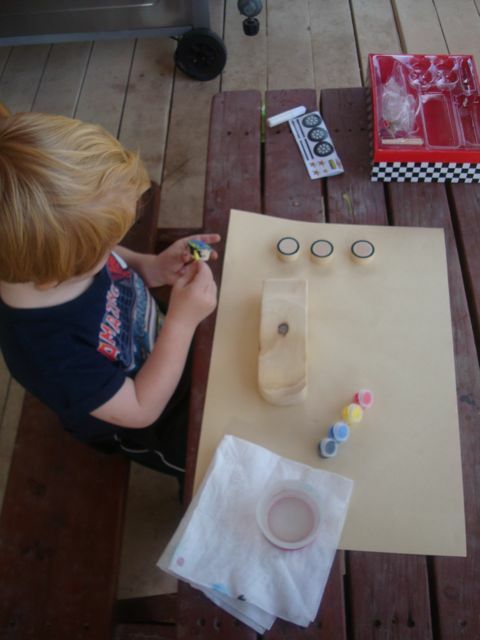 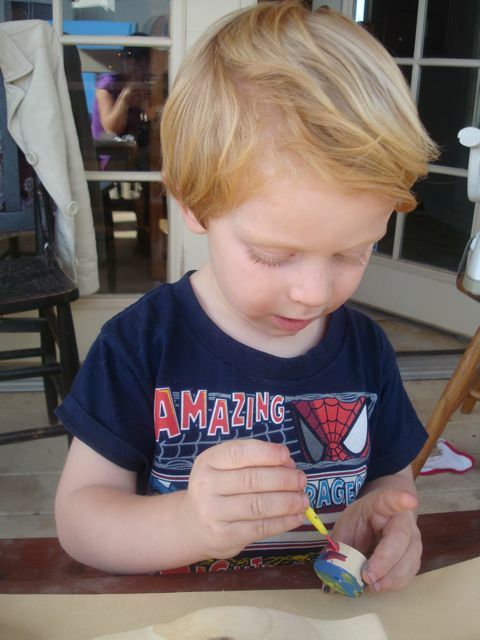 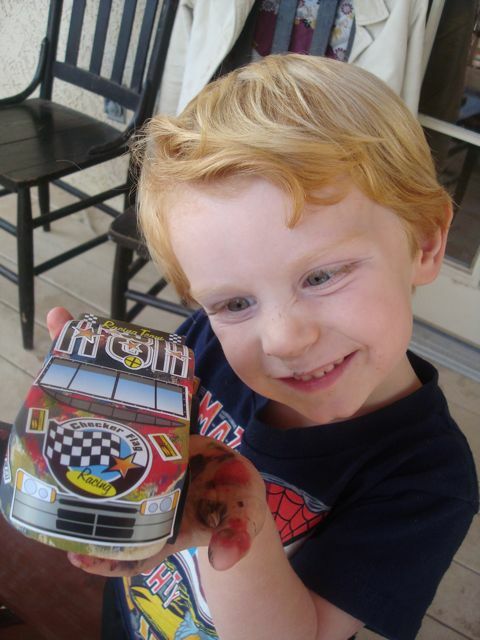 and oh so proud of his finished product - his very own hand painted wooden race car.